Superfoods. It’s a term that gets bandied about a lot these days, particularly in health food circles. But what exactly does it mean? What is a superfood? Based on this definition, we’ve rounded up our picks for the Top 15 Vegan Superfoods — the ones we think most enhance an animal-free diet. Check them out below! And, per ounce, the little red powerhouses also contain “more vitamin C than oranges, more beta carotene than carrots, and more iron than soybeans or spinach.” In the U.S., goji berries are typically available in dried form, and are readily available in health food stores. Another awesome gluten-free grain is amaranth. This Central American grain was a staple for the Aztecs, thanks to its high in protein, folate and B6 content. 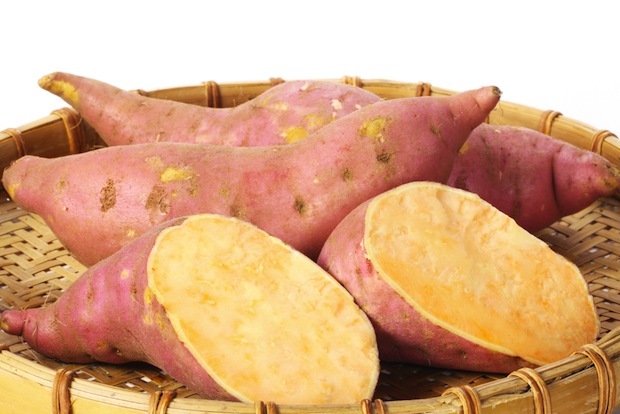 It also boasts an impressive fiber content, and is one of the few grains to offer the amino acid lysine. An article in Forbes notes that amaranth is second only to quinoa in terms of iron content (for grains), that it has been shown to reduce cholesterol, and that it is the only grain that contains vitamin C.
Shape magazine also supports the fruit, saying that the peel contains one of nature’s most powerful antioxidants. ““Xanthones, a mega phytonutrient, has been linked to remarkable cardiovascular benefits, cancer prevention, and healing skin infections. Plus, it is a natural antibiotic,” says the mag. It’s no secret that dark leafy greens are good for us, but you may be surprised to learn just how healthy they really are. Not only are they low in calories and high in fiber, but dark greens provide a plethora of vitamins and minerals, as well as a surprising amount of protein. In his book “Eat to Live,” Dr. Joel Fuhrman extensively discusses the high protein content in vegetables, pointing out that a cup of cooked spinach is 51% protein, as compared to a Burger King cheeseburger, which clocks in at only 21%. 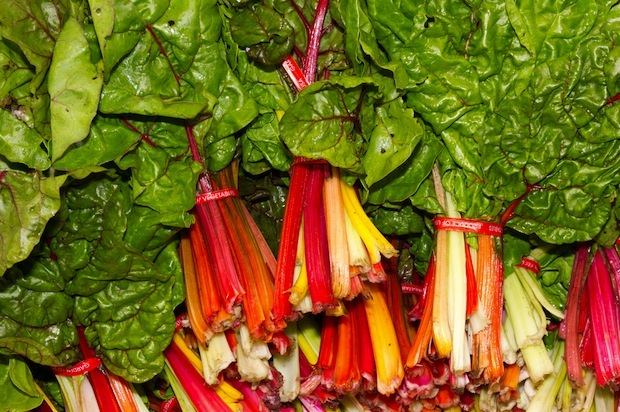 Swiss chard is also high in vitamin K, as well as vitmins A and C. It’s been shown to boost skin health, maintain healthy blood vessels, combat osteoporosis, and improve eyesight. Its iron content can help prevent anemia, and some research suggests that it can ward off Alzheimers and certain cancers. This yellow spice, commonly found in Indian cooking, contains a wealth of beneficial qualities. Curcumin, which the compound that gives turmeric its distinct color, is considered to be both antibiotic and anti-inflammatory, and studies have shown that it can help fight cancer and Alzheimer’s. 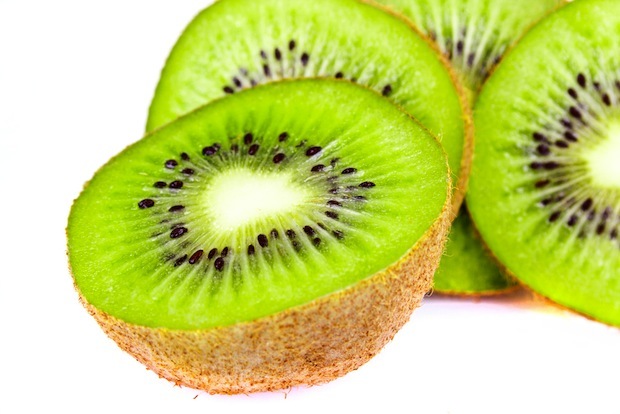 These little green fruits also offer phytonutrients, folic acid, calcium, chromium, copper, iron, magnesium, potassium and zinc. There’s a fungus among us, and that’s a good thing. If you can get past the gills and squishy texture, mushrooms will do your body good. 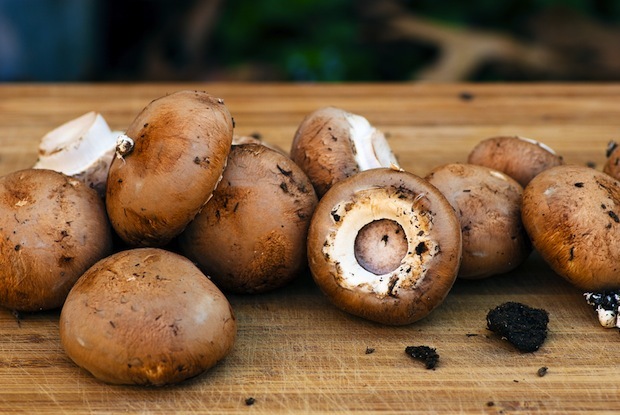 Mushrooms are one of the few vegan sources of conjugated linoleic acid (CLA), which has been shown to block aromatase, a protein that causes estrogen development in women. By helping to block this protein, CLA, and therefore mushrooms, may help prevent the development of breast cancer. Dr. Oz recommends white button mushrooms for cancer-fighting, creminis for weight-loss (particularly as a meat alternative) and maitakes for heart health. If the last time you saw a chia seed it was sprouting out of a chia pet, then get yourself to the supermarket. Once used almost exclusively for the kitschy 80s figurines, these little seeds are finally being recognized for their healthy attributes. 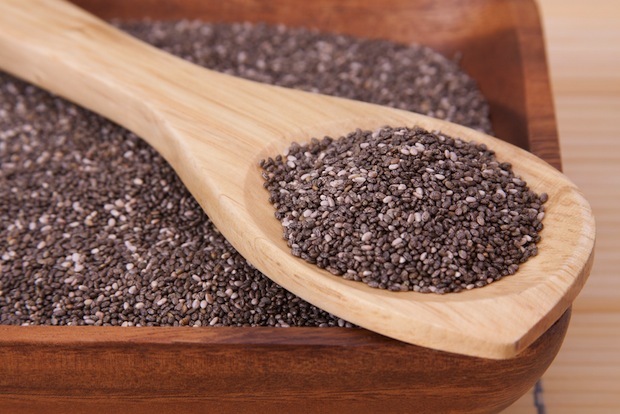 Chia seeds originated in Mesoamerica, where the Aztecs used them for both food and currency. And while they won’t buy much these days, there are still plenty of reasons to stockpile them. First and foremost, chia is rich in omega-3 and omega-6 fatty acids. Omega-3 is the acid found in fish, and the reason that fish oil is so popular. If you abstain from meat, then chia is a great source of this healthy acid, which enhances immunity and synaptic activity in the brain. Chia seeds are immensely popular in vegan puddings and oatmeal dishes. Because they can absorb up to seven times their weight in water, soaked chias create a gelatinous base to which you can add nuts, dried fruit, oats, honey and even chocolate to create inventive and healthy breakfast dishes. Studies suggest that flax seeds can help fight cancer, both by inhibiting tumor growth and by reducing hormone metabolism. They may also help prevent inflammation in the body, thereby reducing the risk of developing conditions such as asthma and rheumatoid arthritis. Want to do even better? Reach straight for the cacao, the fruit and bean from which chocolate is made. Another Central and South American food, cacao is high in antioxidants, dietary fiber, iron and magnesium, and is typically unsweetened, which means you won’t get a dose of sugar with your antioxidants. Although not as satisfying to the sweet tooth, cacao powder can be used in baking, and cacao nibs can be sprinkled in cereals and granolas for a little chocolatey boost. There you have it, folks: our top superfood picks for a vegan diet. Although these are all great choices, they’re by no means the only ones out there. You might want to even buy some health supplements or some liquid vitamins to hep you on your health journey. So we’d like to know: what are your superfood preferences? Have you tried any of these? What are your favorite superfood recipes? Hit us up in the comments and let us know! Disclaimer: We are not medical professionals, and these recommendations may not be right for everyone. Please do your own research to determine which foods best suit your needs, and discuss dietary changes with your doctor or a nutrition professional. Great list! You might want to include one more, Hibiscus. It has the highest antioxidant content of any food tested thus far! Now we have to figure out a meal that contains ALL of them! I would add sacha inchi seeds to the list of seeds. They are high in Omega 3 fatty acids (about 7000mg per one ounce serving) and contain a lot of protein as well as amino acids that promote good mood. When processed properly, cocoa powder has more antioxidants than any food known on the planet. The trick is to find a chocolate that has not been alkalized, roasted nor fermented. Think over cooking your vegetables versus eating them raw. Avoid processed sugars (even organic process sugars), bad fats, preservatives, waxes and fillers. There is a great article on the difference between “good” chocolate and “bad” chocolate at cocoa101.com. I eat unprocessed dark chocolate four times a day that has no processed sugars nor bad fats. And it tastes so good you think you are doing something wrong. I have lost 10 pounds and no longer take pain pills for the arthritis in my hips. Several of the superfoods you mention in your article are included in some of the chocolate products. Which chocolate-products , please?. I like milk-chocolate, but want to go vegan, and dark chokolate I find too bitter, inspite of the (unhealthy) sugar. Watch the mushrooms….they are a fungus. I just want to say ive grown 2 inches taller I believe the Goji berries are keeping my HGH levels up, basically keeping me in grow mode whereas other people my age have stopped growing by this age!! Great foods but where’s the sauerkraut/cabbage?? Sauerkraut has MANY studies linking it to the prevention of various types of cancer. 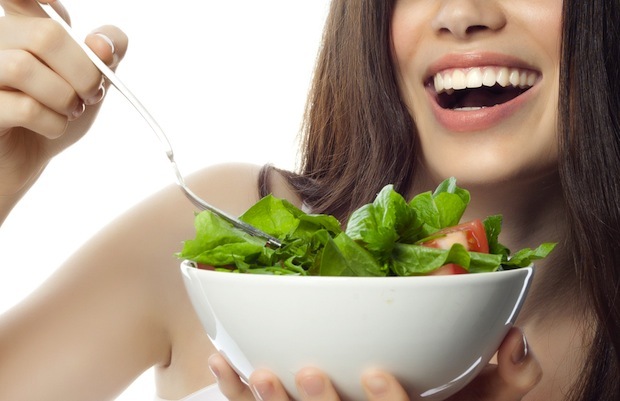 Plus, you can include it in many foods – vegan or not – to “up” the nutrition factor. And… it’s tasty!! Thank you for tips. Appreciate!